Submitted by Norm Roulet on Wed, 06/23/2010 - 23:56. Just as Cleveland has our Mittal Cleveland Works steel plant poisoning area citizens, Erie, Pennsylvania, has Erie Coke poisoning the people of that community, and nearby New York. The difference between the situation in Cleveland and Erie, apparent from the following article in the Buffalo News, is that the people polluted by Erie Coke are being protected by their area environmentalists and government leaders in Pennsylvania who are trying to Keep Erie’s Environment Protected - KEEP. Last year, at Tonawanda Coke (another area coke plant owned by the same company), the PA Department of Environmental Conservation found the plant was emitting cancer-causing benzene at levels up to 75 times higher than recommended guidelines. Interesting the killers in Erie and Cleveland are directly related, being dealers in coke and one of their junkies. I bet we burn lots of that Erie Coke at Mittal Cleveland Works, passing along the cancer from one dying industrial town to the next, and back again. Cap and trade, and the citizens of the polluted communities still die young. By Mark Sommer - News Staff Reporter - Published: June 19, 2010, 6:40 am - Updated: June 19, 2010, 12:42 pm / 26 commentsERIE, Pa. — Nine. That’s the number of people who have contracted cancer on Queen Street, a single block of 15 houses located near the Erie Coke plant. The tally by longtime residents Steve and Chris Narusewicz includes their 19-year-old daughter, Sara, diagnosed last year with papillary thyroid cancer; Steve’s father, who died from prostate cancer; and a brother who succumbed to colon cancer. “It makes you wonder what [Erie Coke] is doing to the health of people who live here,” Chris Narusewicz said from the porch of her asphalt shingle and brick home. 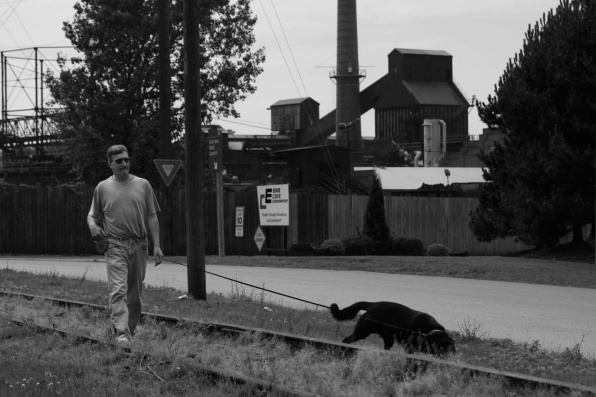 The high incidence of cancer and other health issues near the coke foundry is one of many similarities between this plant and Tonawanda Coke in the Town of Tonawanda. Both have the same owner, J.D. Crane. Both have been cited for numerous environmental violations — including a $6 million fine leveled in June 2008 against Erie Coke by state regulators — and both have seen a grassroots effort spur government action. In the case of Erie Coke, the Pennsylvania Department of Environmental Protection signed a consent degree with Crane on Thursday, legally binding the company to comply with laws and regulations. Crane paid the $6 million fine and agreed to pay an estimated $15 million for a schedule of improvements at the antiquated facility aimed at halting the release of dangerous toxins into the atmosphere. Read entire story at Buffalo News here.